Vigil contains the active ingredient modafinil and is a medicine that treats narcolepsy, sleep attacks and enhances the cognitive function. In some cases it also improves fatigue levels, motivation and reaction time. 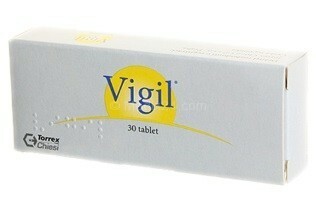 Although Vigil is not a stimulant, it sort of acts like one, being a wakefulness-agent. Used for treating: narcolepsy, sleep attacks. Results: reduces likelihood on sleep attacks, improves narcolepsy and cognitive function. Might result: improved fatigue levels, motivation and reaction time.